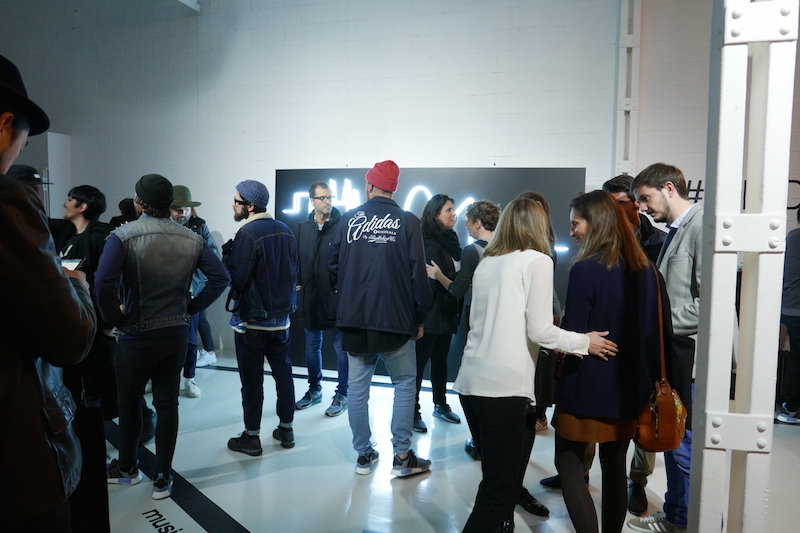 Adidas Originals presents their new design at the NMD Future House BCN, one more time surprising everybody who attended to the special event. Again, showing their great connection with music and creativity, this time, they added live music by the biggest Djs from Barcelona BeGun, Awwz, Sau Poler & Pau Roca. Giving a special touch to the event, Txemy gave the artistic part to NMD presentation, using 3D virtual glasses by HTC to paint live an amazing piece, leaving spectators speechless. This technology was used yesterday for the first time in Spain, a real exclusive and unique event! Awwz during her Dj Set. Pau Roca during his Dj Set. BeGun Dj set during his Dj set.